UNLV has been a good defensive and rebounding team. Now the Rebels hope both of them help them win at Illinois on Saturday in their first road game this season. CHAMPAIGN, Ill. — In UNLV’s sluggish start to its season, the Rebels have managed to do two things particularly well — play defense and rebound. Defense and rebounding, fortunately for the Rebels, tend to travel well. 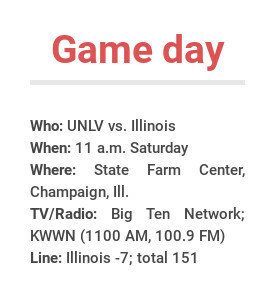 UNLV (4-3) will need to be on top of its game in both areas as it ventures into Big Ten Conference territory to face Illinois (2-7) at 11 a.m. Saturday at State Farm Center. The Big Ten Network will broadcast the game. The Rebels left a day early because of the early tipoff time combined with crossing two time zones. This is UNLV’s first game away from the Thomas &Mack Center, the beginning of a stretch in which the Rebels don’t play at home again until their Jan. 2 Mountain West opener against Colorado State. 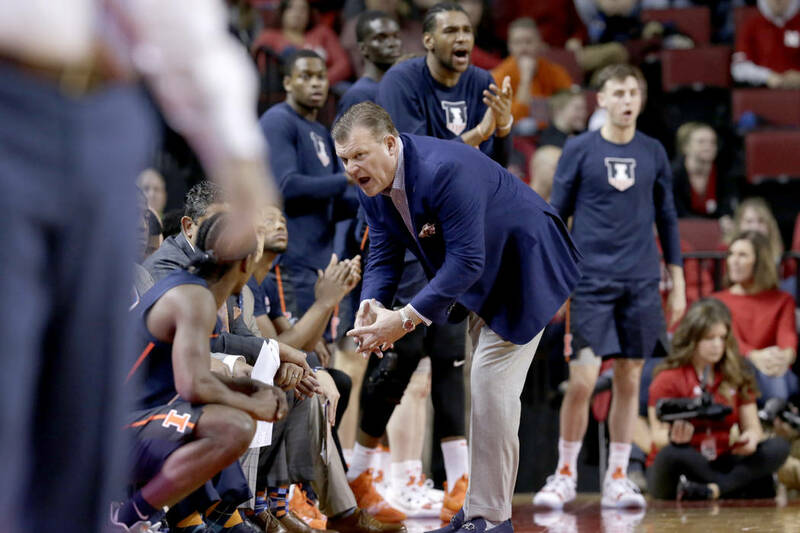 Illinois coach Brad Underwood told the media that he expected 15,000 fans to show up for the UNLV game. 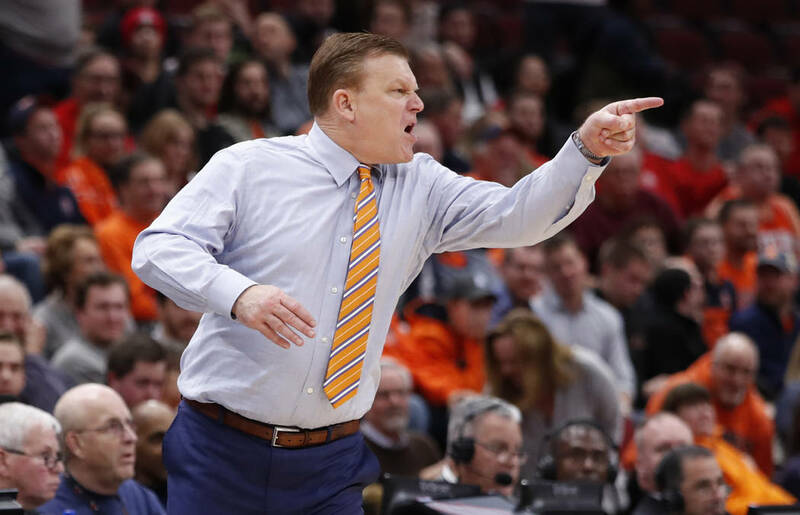 Illinois sometimes uses a three-point guard offense, even twice starting the trio of Ayo Dosunmu, Andres Feliz and Trent Frazier. The Illini average 76.2 points per game, making nearly 10 3-pointers per game. If the Rebels are to beat them, they will do it with defense and rebounding and should have the edge in both categories. UNLV tops the Mountain West in scoring defense at 64.4 points per game, which also ranks 48 nationally. Illinois allows a 77.1 scoring average. The Rebels lead the conference in offensive rebounding with a 14.7 average (12th nationally), and are second in rebound margin at a plus-11 average (11th nationally) and in rebounding average at 41 (36th nationally). Illinois has a minus-3.4 rebounding average. Both teams need a spark, and Illinois’ record is a little deceiving because of its schedule. 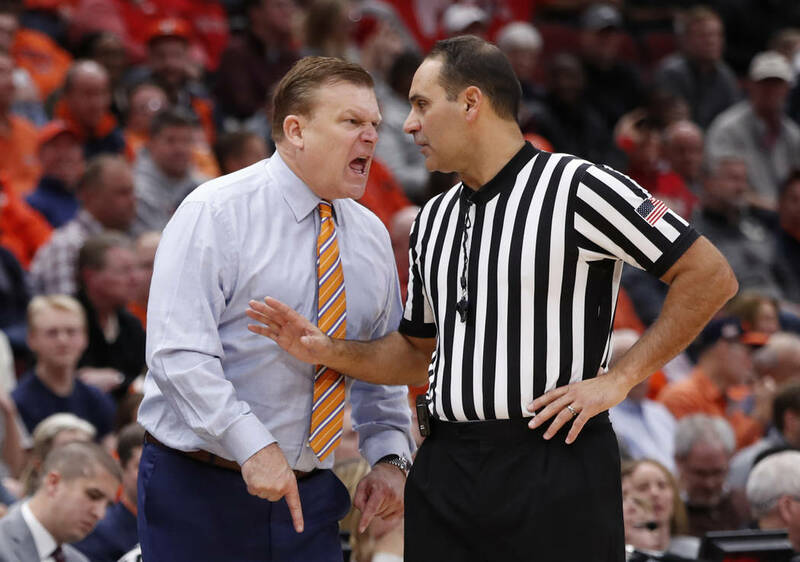 Three of the Illini’s losses came in the demanding Maui Invitational, including 84-78 to now No. 1 Gonzaga, and they are coming off a 77-67 loss to No. 19 Ohio State in Chicago’s United Center. UNLV is off a 65-61 home loss to Cincinnati, a game in which the Rebels cut the deficit to three points three times in the final 3½ minutes.